Australian schools have leapt feet first into the age of digital learning. Our classrooms hold the world’s record for the highest daily usage of the internet, and virtually every Australian student uses a computer at school. But is there any evidence that our technology-filled classrooms are actually producing better outcomes for our kids? Actually, there is. Quite a bit, in fact. Here’s a round-up of some of the recent findings. As a general rule, explains Family Zone cyber expert and child development specialist, Dr. Kristy Goodwin, "If the device is being used in a way where children are creating digital content, so they're using it for digital creation, whether it be story-telling or movie-making or creating animations or coding, then there are obviously increased learning benefits.” If a task involves rote learning, on the other hand, or “drill and skill” type activity, screens do not necessarily add value. Kids love screens - and that means they can be leveraged to make learning more fun and effective. When that happens, engagement increases. At any age, we learn best when learning experiences are active, engaged, meaningful, and interactive. Researchers at the Massachusetts Institute of Technology (MIT) examined how gaming, simulations, and social media could improve classroom learning and concluded that online games similar to Civilization and World of Warcraft developed problem-solving and communications skills. They also found games that simulated real-world events allowed teachers to demonstrate complex science concepts. learning level - letting them learn at the right pace while providing teachers with immediate feedback on student performance. A recent analysis of 74 studies on the effect of computer use in mathematics classrooms found small but positive effects on academic achievement tests. A similar analysis of 84 studies of students' reading performance also found a positive impact on reading achievement. Educational Research Review published both studies. Teamwork isn’t just a buzzword - it’s the way work happens in the information age. Digital learning can set kids up to succeed. How can technology help? Consider the example of the Philadelphia school where kindergarten teachers piloted an integrative program on the weather. One child was the “weather broadcaster” who predicted there would be nimbus clouds and precipitation over the next 24 hours. A second child in the group filmed the entire broadcast and provided tips for better presentation. At an adjacent table, children were engaged in predicting how many drops of rain it would take to fill various-sized circles, and then tested their hypotheses. Observers were impressed by the sophisticated vocabulary children were using (precipitation, cold front, prediction, etc.) - and also by the low incidence of behaviour problems because children were so engaged. Research published in the Journal of Research on Technology in Education examined 174 international case studies and found that the addition of technology changes the structure of the classroom. Instead of a traditional, teacher-directed classroom, digital technology allows teachers to create activities for which they then acted as guides and mentors. 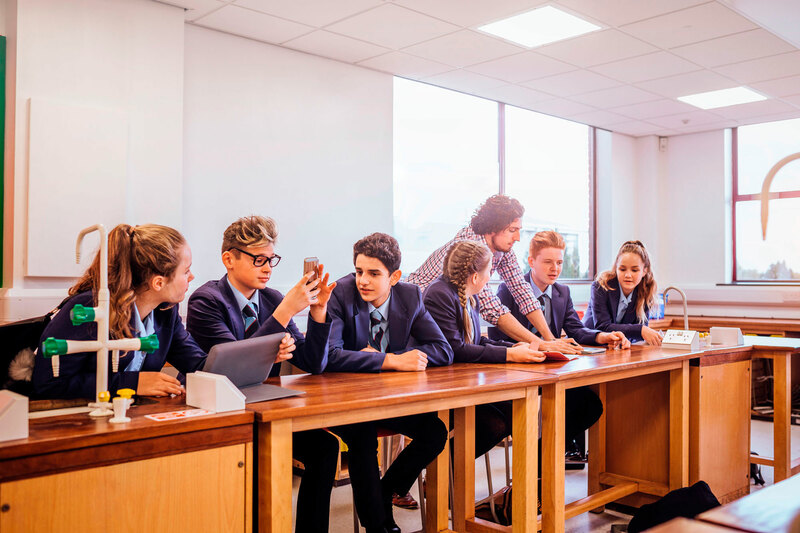 Whether such a devolved teaching style actually result in better outcomes for students remains the subject of ongoing investigation - but preliminary results have been encouraging. In the digital age, technological literacy is not an elective. It’s a requirement. The workforce our children will be entering will be dominated by digital technology and the collaborative working patterns it makes possible. For most observers, even the most pessimistic, that’s the bottom line. To prepare students for adulthood, it’s essential that schools integrate connected devices - and all that they promise - into our children’s classroom learning. At Family Zone Education Solutions, we empower schools to maximise the benefits of digital learning while minimising distractions and risks. Our holistic, education-driven approach is the reason Family Zone has been selected by 600 premier schools in Australia and around the world.